Are you looking for a job, a training or advices on your career? 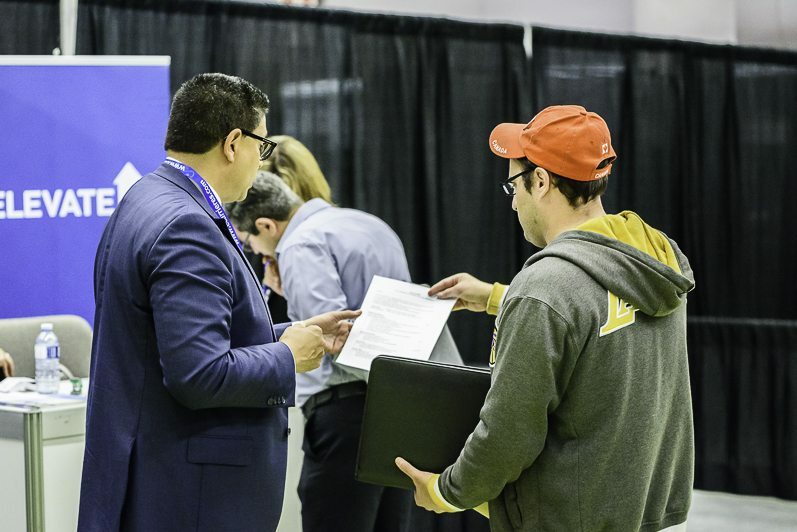 Our career fairs have several advantages for you, find out which ones! 1. Accessing all of our events free of charge. 2. Optimizing your visit thanks to specifically targeted activities at the National Career Event in Montreal. 3. Discovering various businesses, from SMEs to large companies that offer employment opportunities in all regions. 4. Directly connecting with hundreds of recruiters and selling your services to them. 5. Benefitting from the valuable advice of employment assistance organizations, especially in order to improve your resume. 6. Considering your skill improvement or professional retraining within the Continuing Adult Education area. 7. Attending free conferences by experts in Montreal on all facets of employment: job market trends, newcomers entering the Quebec job market, conducting a job search, etc. 8. Using tools at your fingertips to optimize your visit: official programme online and at the fair, numerous job offers on our website. 9. Being warmly greeted and directed by our on-site team.